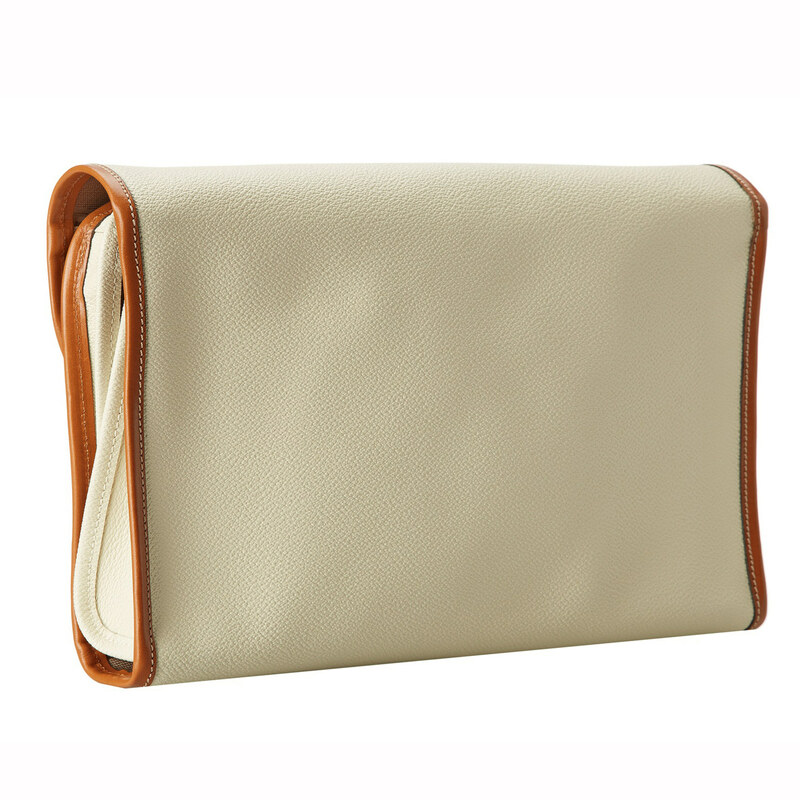 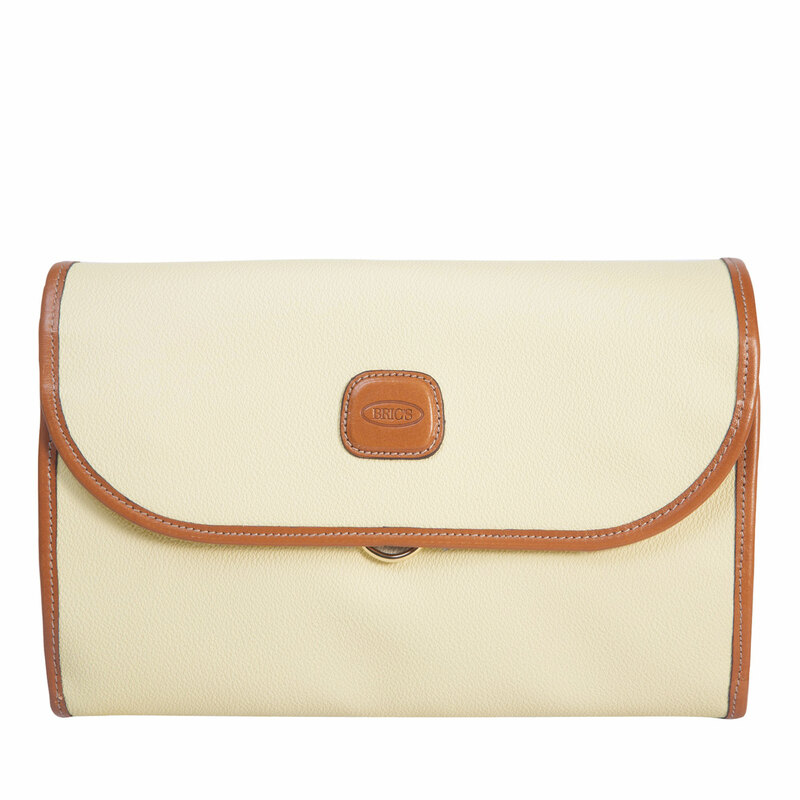 tri-fold toiletry bag from Bric's Firenze collection, made in soft, embossed synthetic material. 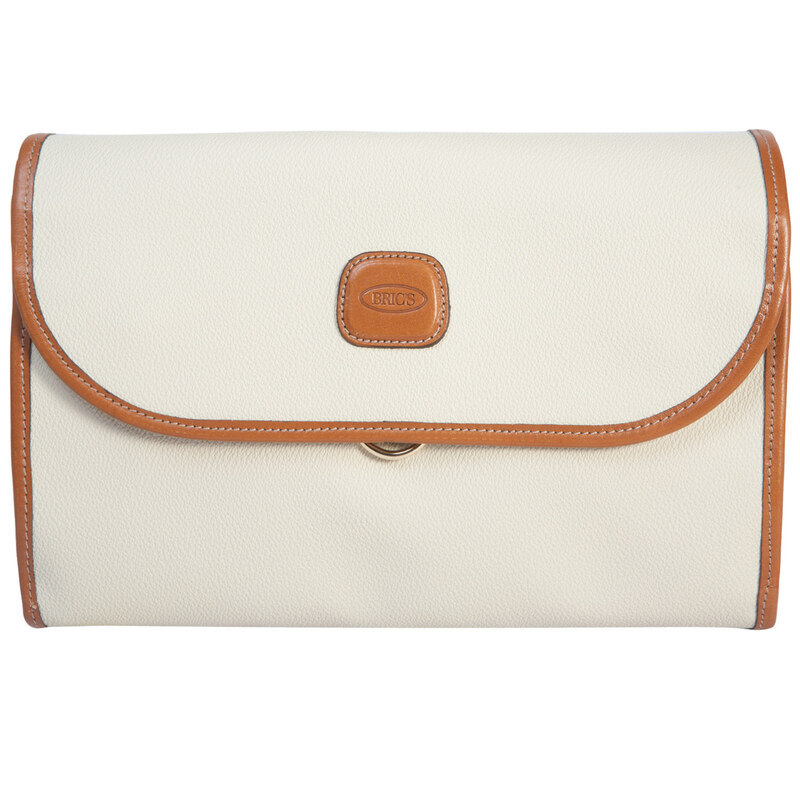 The iconic and elegant design is completed by the fine, vegetable tanned, Tuscan leather finishes. 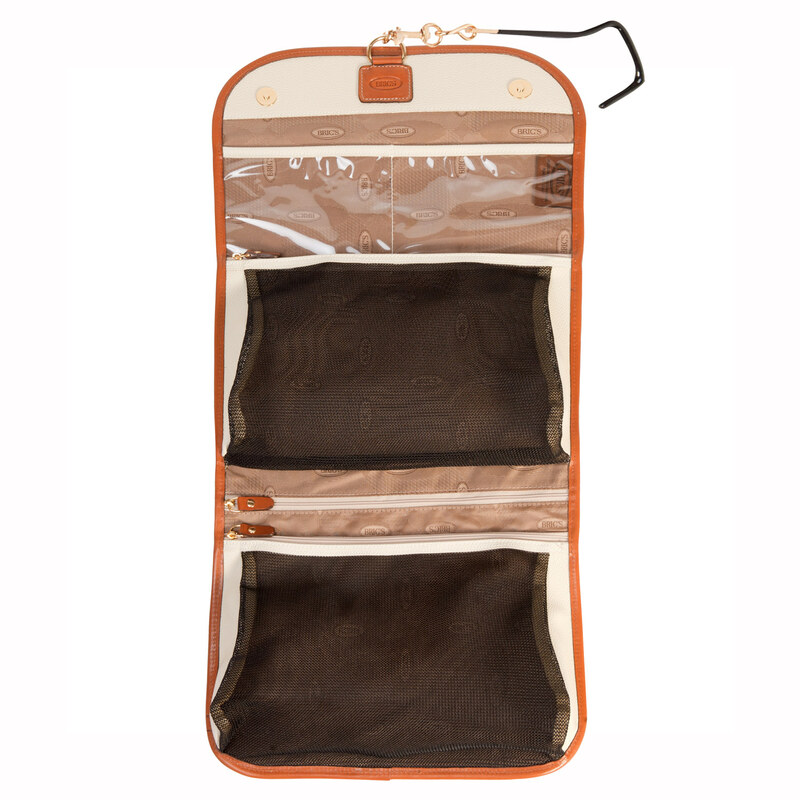 This overnight case ensures that all your toiletries will stay in order within an ample and organised space. 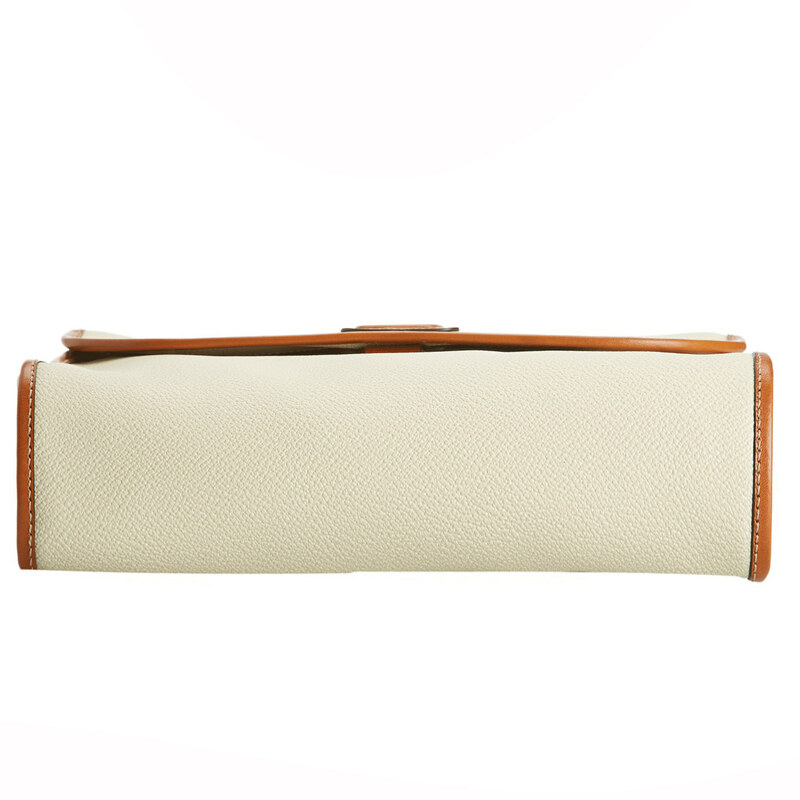 EXTERIOR: two magnetic button closures; fine Tuscan leather finishes. 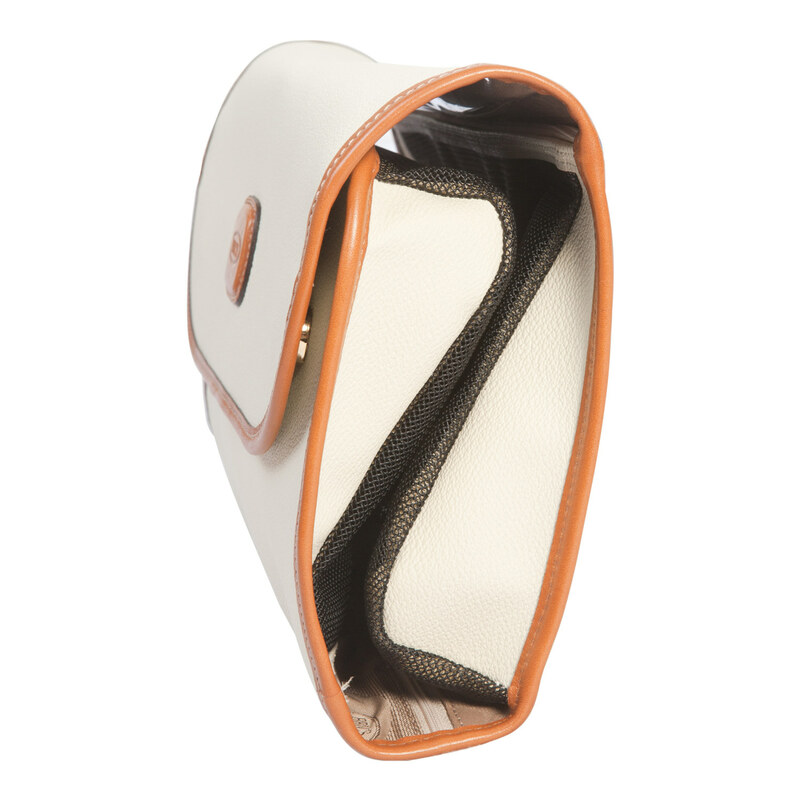 INTERIOR: it comes with three zipped pockets and two transparent compartments; thanks to the convenient hook detail, you can also use it in an upright position.